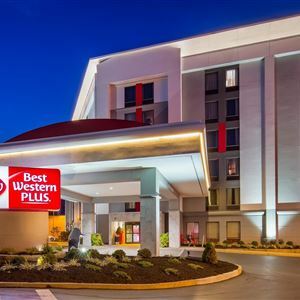 Property Location With a stay at Best Western Plus Cincinnati Riverfront Downtown Area in Covington, you'll be in the business district and convenient to MainStrasse Village and Newport Aquarium. 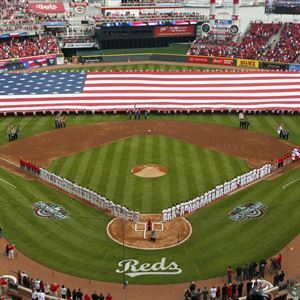 This hotel is within close proximity of Goebel Park and Northern Kentucky Convention Center. Rooms Make yourself at home in one of the 151 air-conditioned rooms featuring refrigerators and LED televisions. Complimentary wireless Internet access keeps you connected, and satellite programming is available for your entertainment. Bathrooms have complimentary toiletries and hair dryers. Conveniences include desks and complimentary weekday newspapers, as well as phones with free local calls. Amenities Don't miss out on recreational opportunities including an indoor pool and a fitness center. Additional amenities at this hotel include complimentary wireless Internet access, a television in a common area, and complimentary use of a nearby fitness facility. Dining Mingle with other guests at a complimentary reception, held on select days. A complimentary hot/cold buffet breakfast is served daily from 6 AM to 10 AM. Business, Other Amenities Featured amenities include a 24-hour business center, express check-in, and express check-out. Planning an event in Covington? This hotel has 575 square feet (53 square meters) of space consisting of a conference center and meeting rooms. Free self parking is available onsite. With a stay at Best Western Plus Cincinnati Riverfront Downtown Area in Covington, you'll be in the business district and convenient to MainStrasse Village and Newport Aquarium. This hotel is within close proximity of Goebel Park and Northern Kentucky Convention Center. Make yourself at home in one of the 151 air-conditioned rooms featuring refrigerators and LED televisions. Complimentary wireless Internet access keeps you connected, and satellite programming is available for your entertainment. Bathrooms have complimentary toiletries and hair dryers. Conveniences include desks and complimentary weekday newspapers, as well as phones with free local calls. Don't miss out on recreational opportunities including an indoor pool and a fitness center. Additional amenities at this hotel include complimentary wireless Internet access, a television in a common area, and complimentary use of a nearby fitness facility. Mingle with other guests at a complimentary reception, held on select days. A complimentary hot/cold buffet breakfast is served daily from 6 AM to 10 AM. Featured amenities include a 24-hour business center, express check-in, and express check-out. Planning an event in Covington? This hotel has 575 square feet (53 square meters) of space consisting of a conference center and meeting rooms. Free self parking is available onsite.